If you think “Billabong Crossfire X Submersible Shorts” sound like some badass shorts designed for Navy Seals—well, you’re right. The name does sound like that. They are, however, swim trunks. We know, very disappointing… But it’s not all bad. And Navy Seals swim and stuff, right? So it sort of works. The Billabong Crossfire X Submersible Shorts are a submersible hybrid short/boardshort. Basically, they’re boardshorts that also look like regular shorts—no weird graphics or patterns, and they have a regular button instead of a drawstring and velcro. 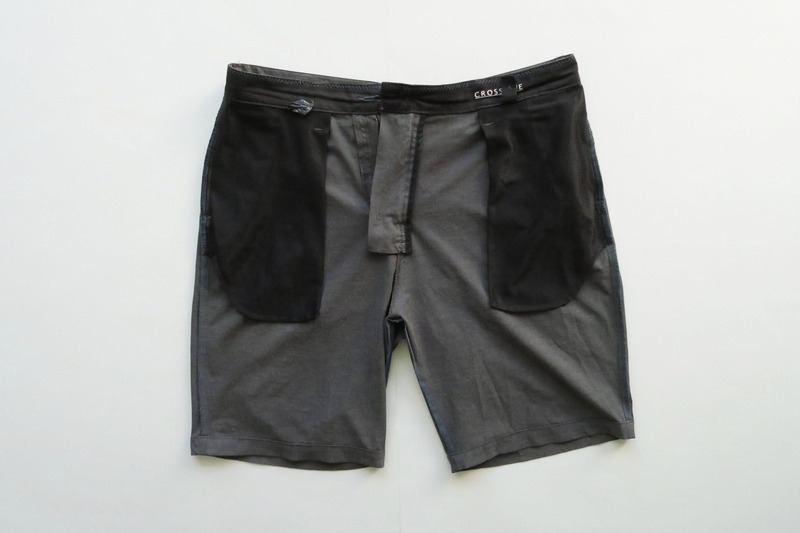 They’re styled like a pair of chino shorts, and they have belt loops, which isn’t very common with boardshorts. That being said, you’re not gonna fool too many people. These wouldn’t fly at a nice restaurant, for example (but who wears shorts to a nice restaurant anyways?). 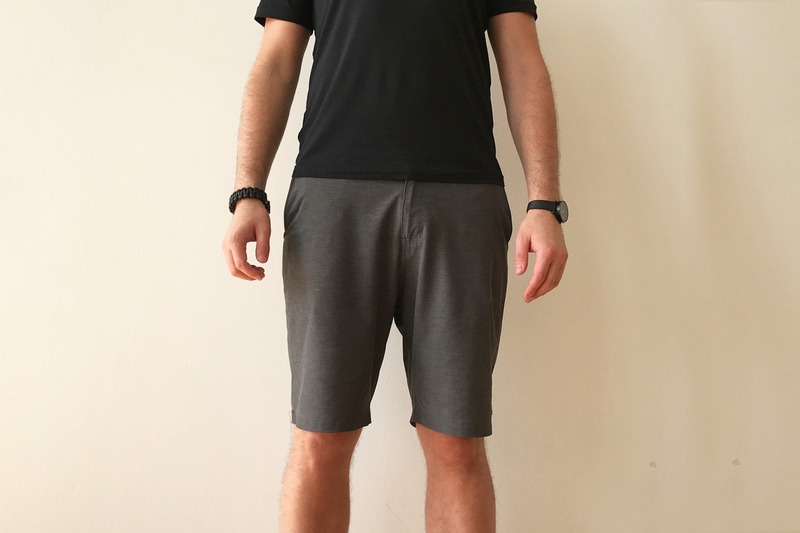 The shorts are comfortable, and they do function well as “hybrid” shorts. They dry pretty fast, so you can easily go swimming and then keep them on for the rest of the day. The material is flexible and stretchy—and they make a moderate amount of swishy-sounding noise when you walk. This sort of throws off the whole “regular shorts” claim. In addition to swimming and general use, we’ve worn these for working out and they function pretty well. Although they will hold a smell after a few uses, so beware. This isn’t the best for traveling, but the plus side is that you can just hop in the shower or hop in a pool to wash them off. There are two pockets on the side and two in the back—all of which are mesh-lined on the inside. 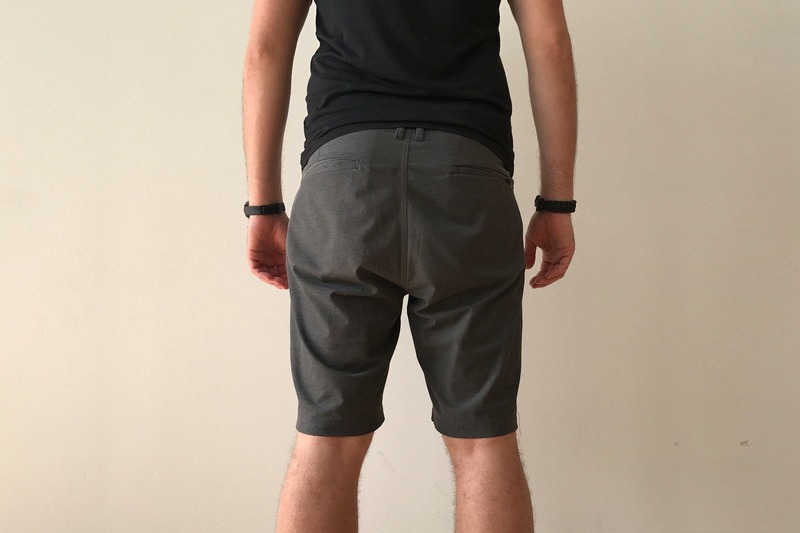 The two side pockets are pretty average depth, which does make them feel more like regular shorts when you are wearing them. 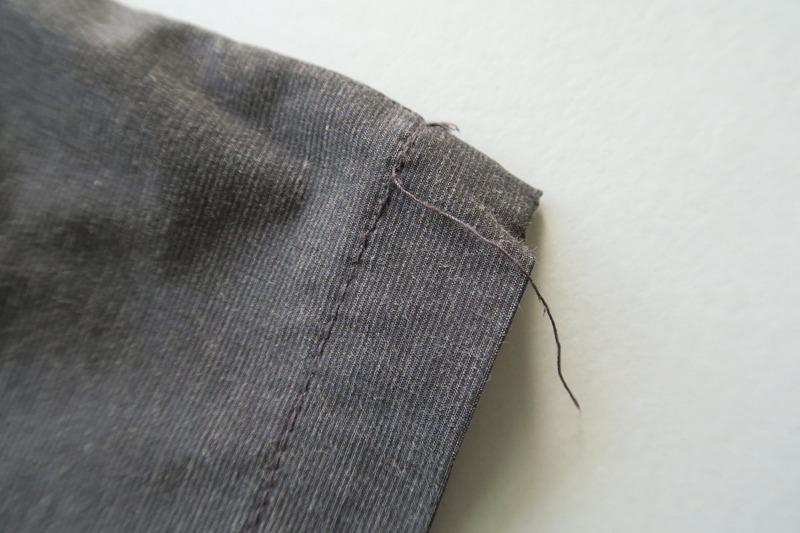 The back right pocket has a zipper on it, which we really like. It’s a nice theft deterrent for traveling or walking around a city—you can throw stuff in there and not have to worry about pickpockets. And it’s great for swimming—whatever you keep in the pocket will stay with you. Just make sure it’s zipped up. Oh, and you might want to make sure that everything in there is waterproof. 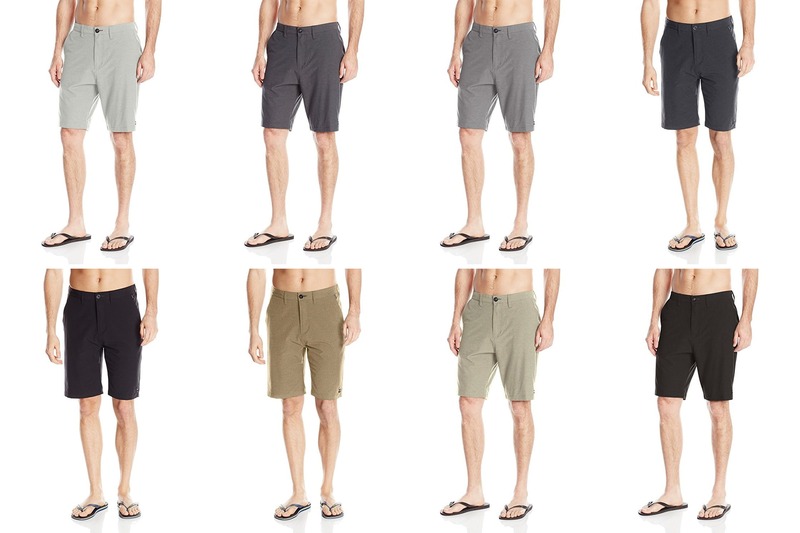 These shorts come in a TON of colors, which is awesome. In this review, we’re testing the “Charcoal” color. If you find yourself on the beach and in the water a lot—a “water-junkie,” so to speak—you may want to invest in a few different colors. No one will know that you’re wearing board shorts all the time! Just kidding. Most people will know. At the time of this review, these shorts are listed for $54.95. Pretty reasonable price, and we think it is a good value, considering how long they’ve lasted. Good—got that fresh polyester smell, right out of the box! Going strong, no new developments. Not much has changed, still nice and stretchy. Some of the cloth on one of the belt loops has begun to fray—no biggie, just clipped it off. Surprisingly, the original button is still in place! 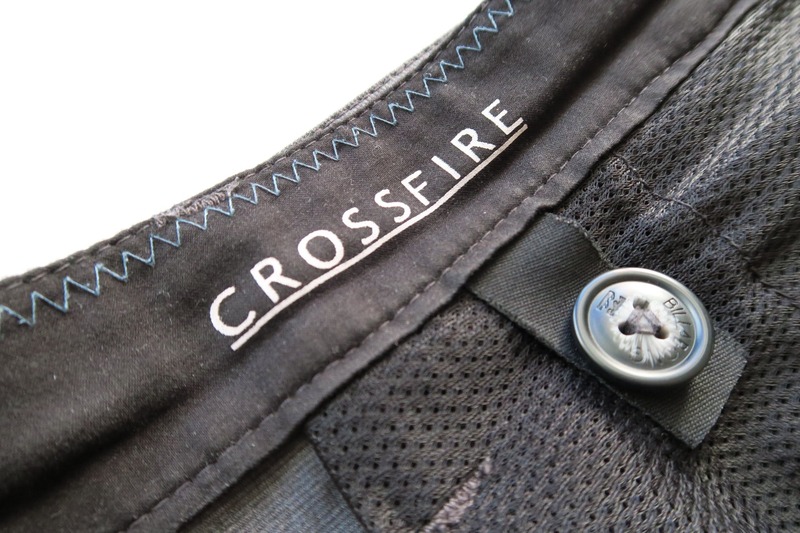 It’s pretty strongly secured, and there is a backup button sewn inside the shorts. Been through a lot of wear and tear, a little thread is coming off the bottom of the shorts. Thread is starting to come off. The billabong rubber logo on the bottom has also finally peeled off—very sad day. Nice look—doesn’t look like traditional board shorts. Won’t really fly as regular shorts. The Billabong Crossfire X Submersible Shorts do a pretty good job as a hybrid short/board short combo. They won’t totally pass as regular shorts, but they are certainly better than most board shorts. The pockets are nice—especially the back zippered pocket—and overall they’re pretty comfortable and dry quickly. They’ve also held up well after a lot of use—and considering the price, we’d say they’re a pretty good value.